Gliocladium is just here to look pretty. No seriously, she isn’t known to cause infection at all. 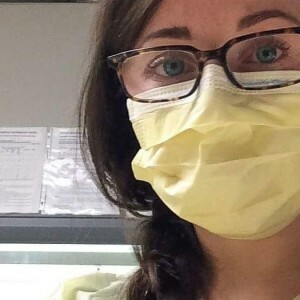 Not a human pathogen. 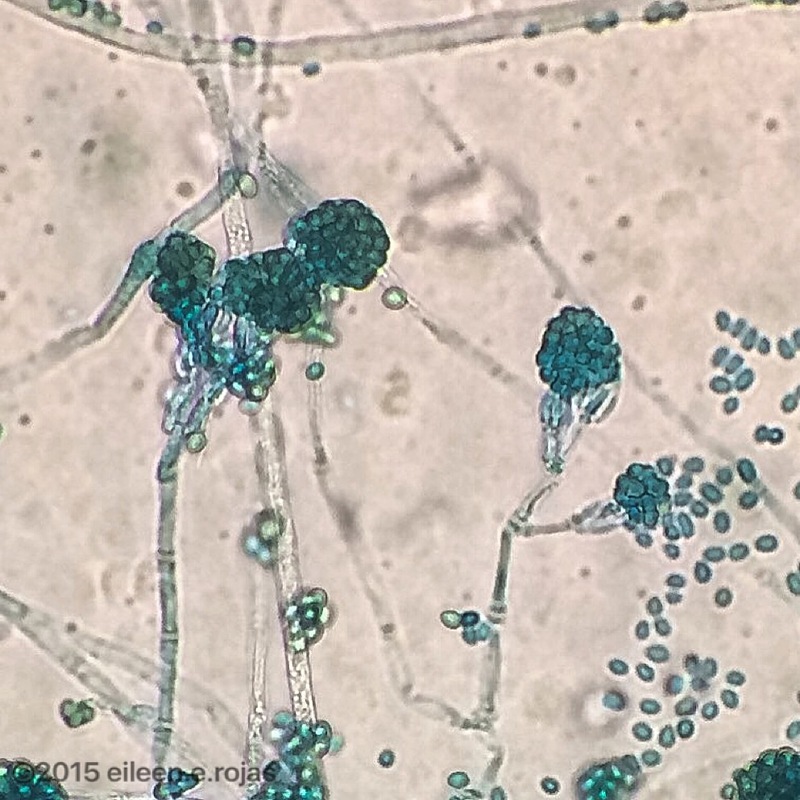 This organism is frequently found in soil and just passes through the lab as a contaminant. Gliocladium is very green. She’s so green that the pigment comes through despite being stained blue! She fills the agar plate with tons of fluff that starts out white and then turns green. This organism grows rapidly, and is mature enough for viewing after about 4 days of incubation. 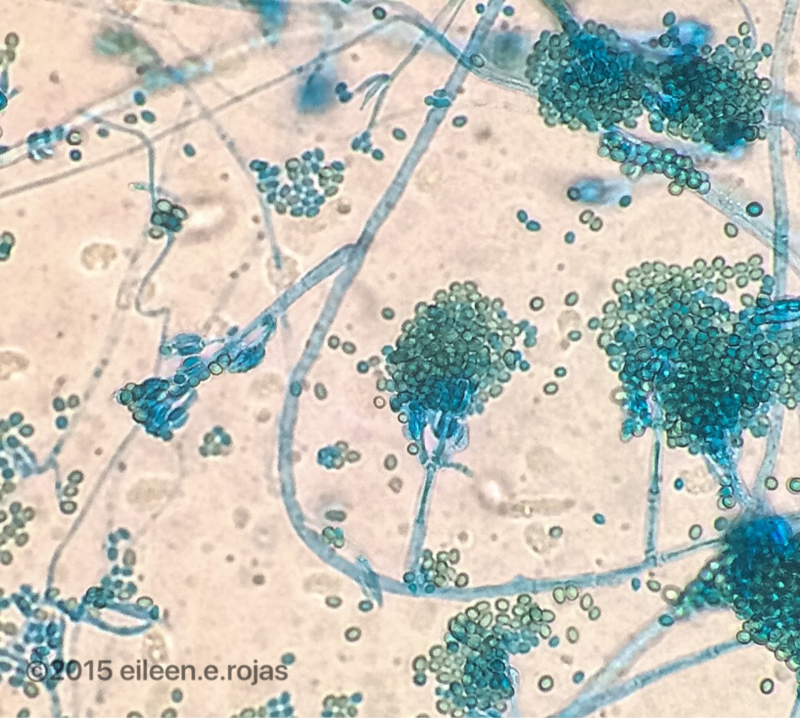 Gliocladium is a hyaline hyphomycete. 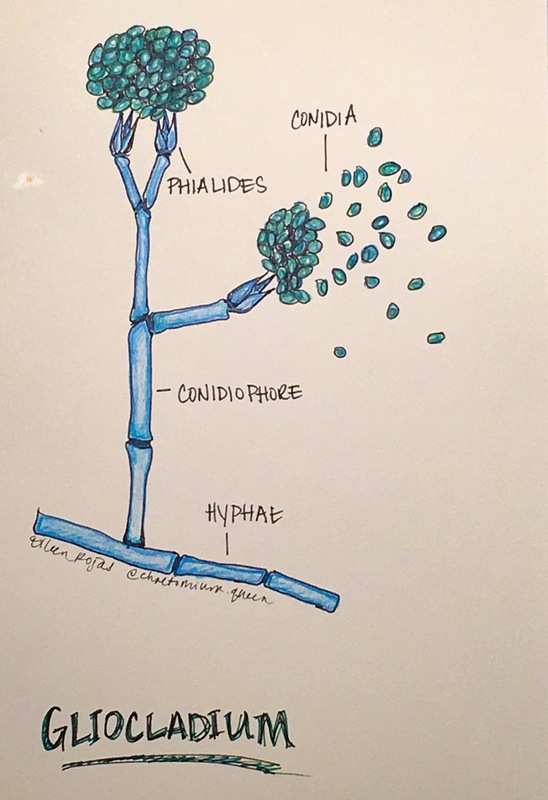 The word “hyaline” means clear or transparent. 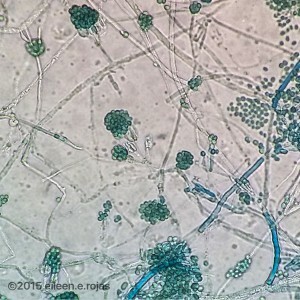 A “hyphomycete” is an asexual fungus that produce mycelium. 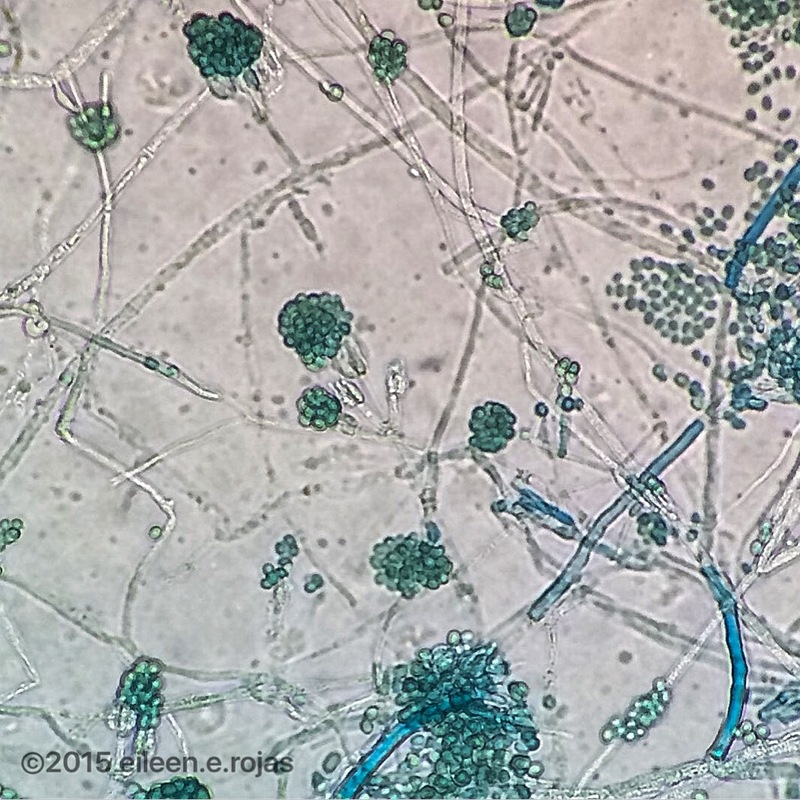 This fungi exhibits some microscopic similarities to penicillium (a post about this will come in the future), such as the flask shaped phialides arranged in a way that gives them a brushlike appearnce and round conidia. 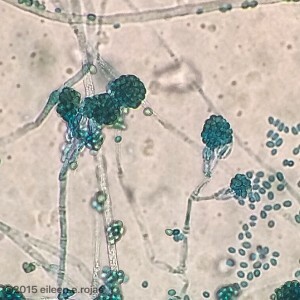 The biggest difference between the two is that the conidia of Gliocladium clump together and form clusters instead of forming long chains as seen in Penicillium.